The Mazu Table Lamp by Heathfield & Co is expertly crafted by skilled artisans showcasing high-quality detail and premium design. The complex glaze ensures each lamp is unique creating a timeless piece that varies in hue each time. Available in three stylish colourways - Graphite, Chalk and Fennel. 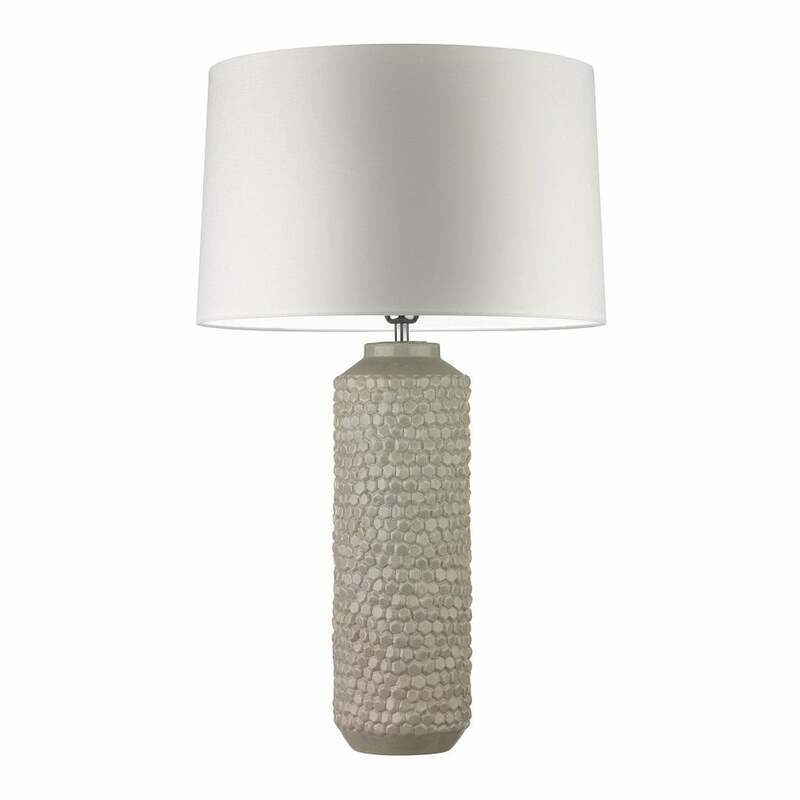 The highly textured, industrial style base has a subtle gloss adding a touch of glamour to any interior scheme. Shown here with a natural coloured shade, style with dark black silk for added drama. Make an enquiry to receive samples and expert advice.